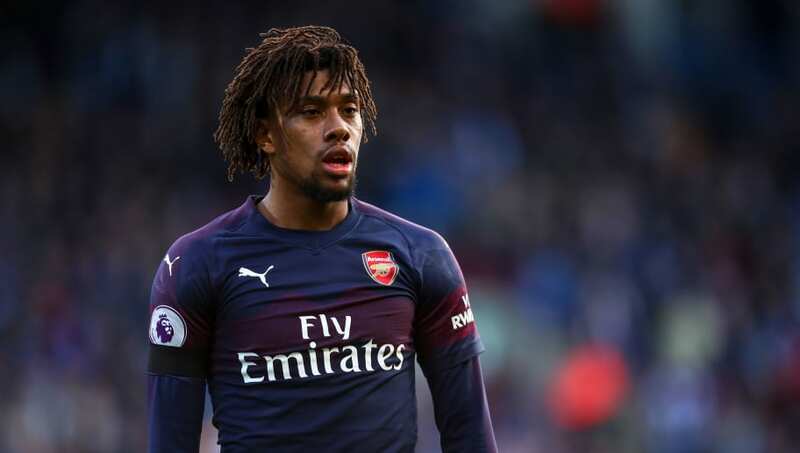 Arsenal head coach Unai Emery has praised Alex Iwobi for his role in the Gunners' 2-1 win against Huddersfield on Saturday, but insists the attacking midfielder can develop further if he 'improves tactically'. Iwobi netted Arsenal's opener at the weekend - his third Premier League goal of the season - and was a continuous threat to the Terriers' back line all afternoon. Despite the Nigerian putting in one of his best displays of the season, Emery has challenged the youngster to improve further. Emery was speaking to the media following Saturday's win and was quick to first praise the 22-year-old after he equalled his Premier League goal tally for the previous two campaigns. "He's young, makes a big commitment and he has a good physical condition," Emery began, as quoted by the ​Mirror. "He scored, got another very good chance and the possibility to assist Lacazette, but I think his match – first starting with his attitude – was very big, and his performance was very good." Despite the glowing praise, Emery went on to admit Iwobi will score and assist more goals if he remains 'calm' under pressure in the final third. “He needs to improve, tactically maybe also, some things," Emery added. "Above all he needs to be calm with the ball in the attacking third to have more assists and create more possibilities to score, to know when to shoot and when to dribble." The Nigerian is fast becoming a key player for ​Arsenal under Emery, having made 23 ​Premier League appearances already this campaign, and Iwobi will surely have a vital part to play for the remainder of the season as the Gunners chase their first top four finish in three seasons.